GreenBeanTeenQueen: OMG-Shortlisted for Best YA Blog! I found out today that my blog has been shortlisted for Best YA Blog! I can't believe it! I've been in shock all day! Thank you! 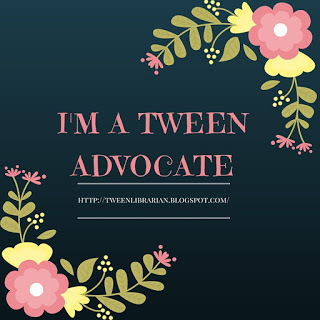 I'm in a catagory with other bloggers who always make my must read list (The Story Siren, Pop Culture Junkie, Mrs. Magoo Reads, and My Favorite Author) Check out their blogs as well, as they are all wonderfully awesome bloggers and such great supporters of YA. Be sure to check out all the nominated blogs in the various catagories and get your votes in soon. Voting ends Saturday September 12 at 11:59 PM (EST). And be sure to join in the fun during BBAW-it'll be a week long party and I can't wait to be part of it! I voted for you!!!! Good luck and congratulations!!! Congrats on making the shortlist! Congrats! So well deserved. I know I am voting for your blog for sure. Huge Congrats, it's nice to see a few blogs on the list that I have heard off. Congrats on being shortlisted and good luck!! I've only just discovered this blog but congratulations! It's truly awesome!